There is a knowledge gap regarding the visual information search for prices of organic food during shopping. This study aimed to give insights on this subject and thus measured the visual information search using mobile eye-tracking glasses in a laboratory test market with 148 consumers. Study participants had to decide for one among six unfamiliar brands in each of two product categories. Consumers were grouped according to their choices in the test market into consumers of conventional food, regular consumers of organic food and occasional consumers of organic food. These groups were investigated regarding their visual search for package and price information of organic compared to conventional products. The results showed that 97.2% of consumers of conventional and 97.0% of regular consumers of organic food noticed most prices of organic food. Further, approximately three-quarters of price tags were reexamined after a first look. There was no difference between regular organic, occasional organic and conventional consumers in the amount of visual attention allocated to prices of organic food; however, of the time that participants spent looking at organic alternatives, conventional consumers gazed significantly longer at prices of organic food than regular and occasional organic consumers. 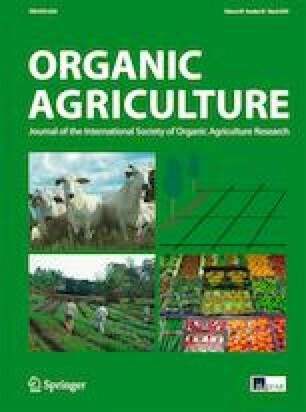 The fixation durations on packages of organic and prices and packages of conventional products were significant predictors of the choice of organic and conventional products. The results imply that the precondition for price comparisons and evaluations, i.e. noticing prices, is met for most products in all consumer groups. Regular and occasional organic consumers pay attention to prices of organic and conventional products despite their organic ‘predisposition’. Even though conventional consumers are more focused on prices, many of them chose a conventional product which was higher priced than an organic alternative. Hence, other motivations also play a determining role for their choices. We thank Johann Steinhauser for the fruitful collaboration during the conduction of the study, the data preparation, and the discussions about data analysis. We also thank Dr. Adriano Profeta for statistical advice. We further thank Ekaterina Babina, Frauke Kersting, Nazli Novruzova, Philip Schierning, Jan Hendrik Umbacher, Lea Müller, Marie Stützl, René Schneider, and David Kühn for their support during data collection. We also thank Anne Christopherson for proofreading the manuscript.